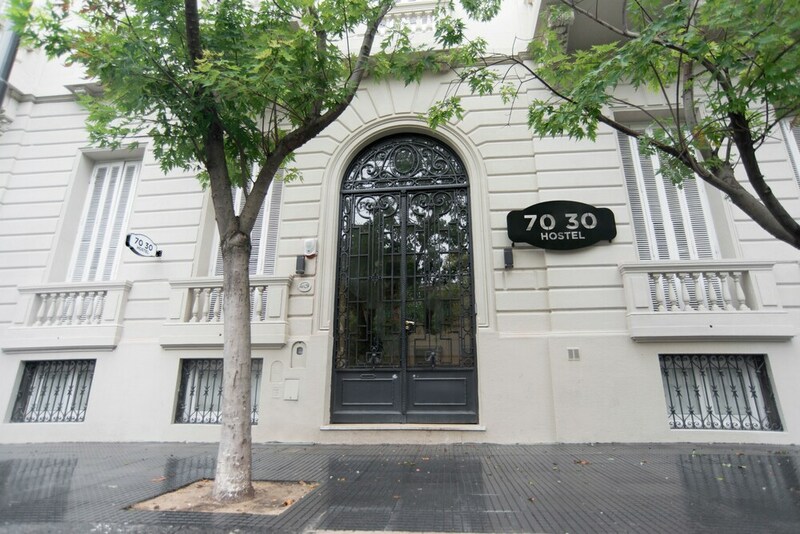 Located in Buenos Aires (Old Palermo), 7030 Hostel is minutes from Armenia Square and Serrano Square. This hostel is close to Teatro Colon and Obelisco. Make yourself at home in one of the 9 guestrooms. Prepare your meals in the shared/communal kitchen. Bathrooms with showers are provided. Conveniences include desks and separate sitting areas, and housekeeping is provided daily. All citizens of Argentina will be charged the national value-added tax (21%) upon check-out. Foreigners on a tourist visa are exempt from this tax. To qualify for a tax exemption, tourists must present a valid passport and pay for the services rendered with a non-Argentine credit card or via bank transfer from another country. This tax exemption does not apply for stays over 90 days. In the case of cancelled bookings, the cancellation penalties paid by the traveler will also be subject to the national VAT (21%).